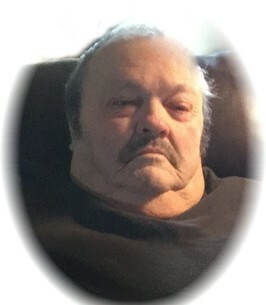 Ron French, 72, of Greeley, CO passed away at Medical Center of the Rockies in Loveland, CO on September 15, 2018. He was born on May 23, 1946 in Huron, SD to Leslie and Dorothy (Galliger) French. Ron grew up in Bonilla, SD and was a member of the last class to graduate from Bonilla High School. On June 2, 1971 he married Becky Bucholz in Rock Lake, ND. Ron worked for Beaureau of Reclamation, Western Area Power Administration, and after retirement for Stanley Consultants. He loved to work as a surveyor and inspector. The joy of Ron’s life was his granddaughter. Ron is survived by his wife, Becky of Greeley; son, Ryan (Kelsey) of Nunn, CO; granddaughter, Brynnlee; bonus grandchildren, Kiani, and Rylynn; brothers, Gary (Donna) French, and Roger (Margie) French; and sister, Cathy (Allen) Twist. He was preceded in death by his parents; brother and sister-in-law, Jim and Bonnie French; and father-in-law, Virgil Bucholz. A celebration of Ron’s life will be on Wednesday, September 19, 2018 at 11:00 a.m. at Adamson. Interment will be in Restlawn Cemetery in Huron, SD at 11:00 a.m. on Friday, September 21, 2018. Memorial contributions may be made to “American Cancer Society” in care of Adamson Life Celebration Home, 2000 47th Avenue, Greeley, CO 80634.